I have an amazing and supportive collection of friends. When I started this whole endeavor every on of them was on-board offering to help or just cheer. I will always be grateful. It’s awesome, right? No doubt about it. 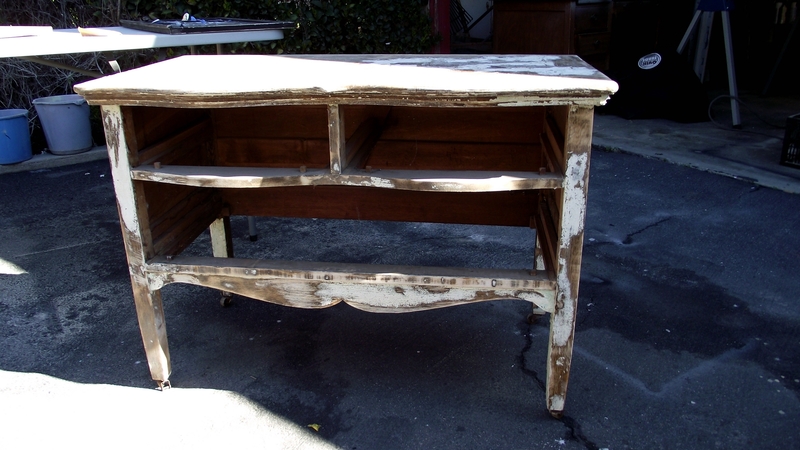 But there is “charmingly distressed” and “the paint falls off when you look at this thing.” This dresser fell into the latter category. 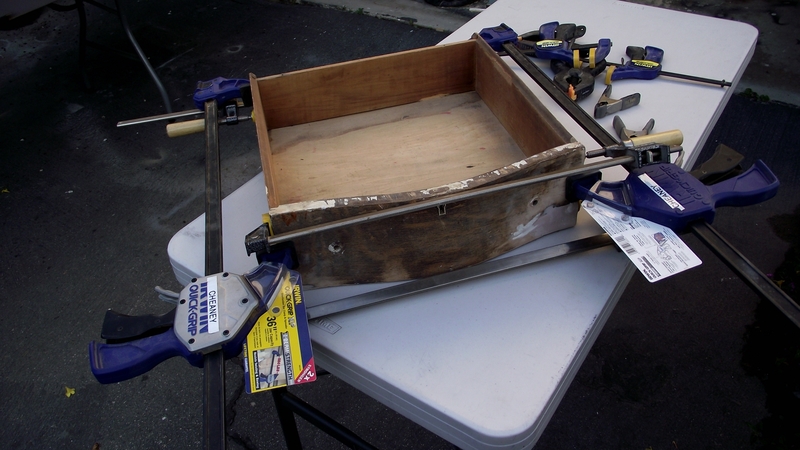 And it had drawers – they were just in pieces…..in a pile….to the left….. BUT it’s awesome (see above) AND it was 100% free so who could argue? Isn’t it odd how some of the paint can’t stay on for the car ride home but the rest of it requires a nuclear device to remove? Next. Drawer repair. Yes, that’s my entire clamp collection on one drawer. The veneer was either missing or peeling and I discovered that the “neat little pile” lacked two drawer bottoms. 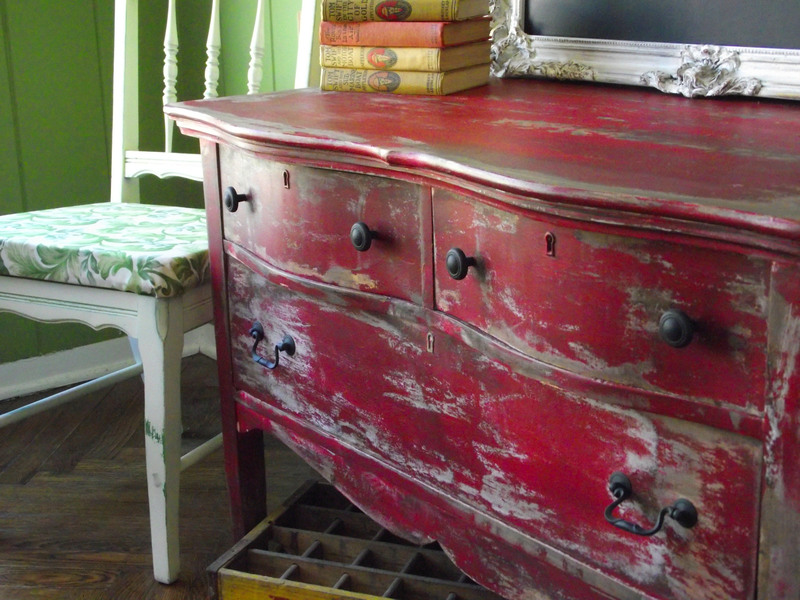 I’d decided I wanted this piece to have a rustic barn red finish. So after a coat of primer I got to work. Except I forgot that when you buy red paint you want to prime with grey paint in order to get the red to be the color the paint chip shows. Oops. So my first few coats were not as rustic as I’d hoped but rather a kind of a festive fuchsia – not the vibe I was going for. But, fear not, in just one, two, FOUR MORE COATS I got to my deep barn red. Then I sanded for that distressed look. Except sanding just took off the last two layers of red paint and I ended up back at festive fuchsia. My apologies – at this point I quit taking pictures because I was really busy, focused embarrassed….and out of paint. But happily I discovered that when I added my favorite antiquing glaze all the paint went back to that perfect Barn Red. I realize I took something that was already shabby, fixed it up and then made it shabby again but such is the nature of my imagination. Learned something new! Thx for the red paint/gray primer tip. Excellent red tips, thanks! Your piece caught my eye because I just saw an amazing beat up red piece at the local greenhouse for sale that I wanted BAD! (too big to fit in my truck; I think I cried all the way home) Your piece reminded me I can just make my own. 🙂 Fab colour! Looks great! You did a fantastic job! Great job, I am glad to see a piece of furniture with color! Fabulous! 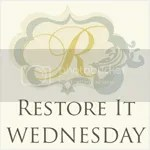 I would love for you to come over to my website an share your project. It is easy to do! Just upload a few photos and tell about your project! Put your blog URL at the bottom of the submission, and then once approved your link to your blog will become live! Great job! Come over and share! And, about time we got a guy in the mix! Love the way the dresser turned out. thanks for the grey primer tip. 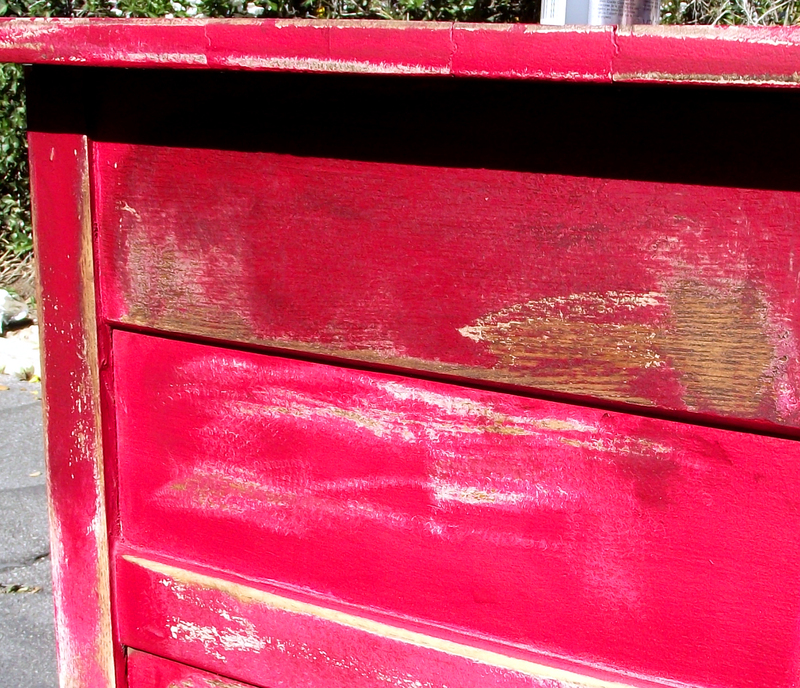 Most everything I get gets painted some shade of white but love the barn red distressed look. May have to try it. Hey Rondajane – thanks for your comment. Yes, the grey primer thing was a real revelation when I finally tried it out (and then, clearly forgot it). I’m terribly sorry it took me so long to respond to your question. I use(d) Valspar Antiquing Glaze from Lowes. It seemed a little expensive to me but the small bottle has lasted a very long time as you don’t need much for any application. And I’m late coming to your blog….hope you’re still at it tho. You are hilarious, and GOOD at this as well. Thanks much! Yep – for better or worse I’m still plugging along. Thanks very much for stopping by.